Jamie Redknapp believes that Man Utd’s activity in the transfer market before the deadline could tell us everything we need to know about Jose Mourinho’s future. After finishing 19 points adrift of rivals Man City in the Premier League title race last season, coupled with their failure to win silverware, significant changes were arguably expected at Old Trafford this summer. 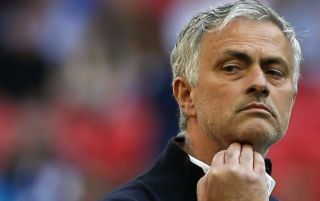 Mourinho has welcomed just three new signings to the club thus far though, with veteran goalkeeper Lee Grant, Diogo Dalot and Fred joining the Red Devils. It’s fairly obvious that trio is unlikely to make the crucial difference to take United closer to Pep Guardiola’s side, and so frustration may well be building as rivals such as Liverpool and Arsenal have made significant moves in the market this summer. Redknapp has shared his opinion on the matter, and he believes that aside from Mourinho’s own moaning during their pre-season tour, which suggests he could be looking for an exit, if the Portuguese tactician doesn’t get his desired transfer targets before the deadline, it could spell trouble for his future at Man Utd. “Back him with the signings he wants and the club will send a strong message that Mourinho is their man to take the fight to Manchester City,” he wrote in his Daily Mail column. “Fail to do so and it shows they do not believe he can take them forward. “Throughout United’s pre-season tour, all Mourinho has done is moan. He sounds like someone trying to engineer an exit. The choice United face is simple. Buy Harry Maguire, buy another player and let Jose be happy. If they don’t he will continue to make his feelings known. It’s a fair assessment in truth as judging from Mourinho’s comments on their pre-season tour to this point, if he doesn’t see any more new faces arrive, it could spark a real breakdown between the manager and the hierarchy and raise question marks over how long he’ll stay at Old Trafford, particularly if he isn’t able to inspire success.